Prakriti or Constitution is formed at the time of union of sperm and ovum. The predominance of Doshas, elements and Gunas once formed remains constant for every individual for his entire lifetime. This predominance decides the disease tendency of that Individual. However with proper life-style, one can keep all the factors in perfect balance and avoid diseases. Hence understanding correct Prakriti is the key to health. Once Prakriti is known, proper diet, behavior, exercise and Yoga can be done to maintain Health. Although there are seven types of Prakriti, most individuals belong to the duel group. 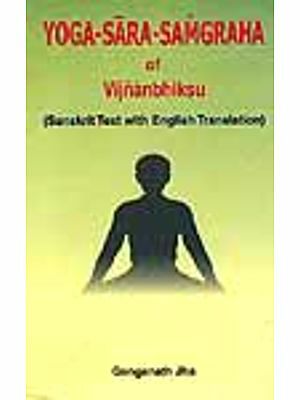 Many books have been written explaining the life-style for various types of Prakriti. 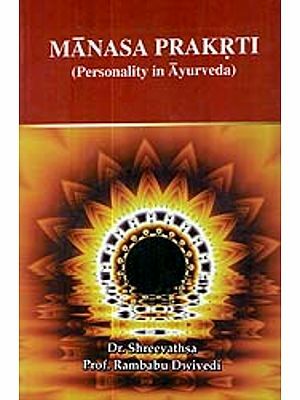 However this is first book, which has explained life-style and various food recipes (for breakfast, lunch & dinner) for dual type of Prakriti. Along with life-style, we have also explained the proness of disease and the ways to prevent the same with the use of proper occupation, different gems and colour therapies. Dr. Subhash Ranade was formerly Principal of Ashtang Ayurveda college, Pune, India and is the author of more than 92 books on Ayurveda, which have been published in German, Polish, Italian, English, and many Indian Languages. He has the honour of being visiting Professor to all the colleges of Ayurveda in USA and other institutes like Sewa Akademie in Germany, Ateneo Veda Vyasa in Italy, Foundation of Health in Poland and Ayurveda International Diffusing Association of Japan. Since 1981, he has visited and has conducted hundreds of Ayurveda courses for medical practitioners in Europe, U.S.A. and Japan. Dr. Rajendra Deshpande is an Ayurvedic consultant and Head of Department of Ayurvedic Physiology in Ayurvedic College, Nigdi, Pune. He has done double post graduation (MD) in the subjects of Ayurvedic Medicine and Ayurvedic Physiology. He has given many radio and television interviews on various topics of Ayurveda and controlled many articles in various Journals. 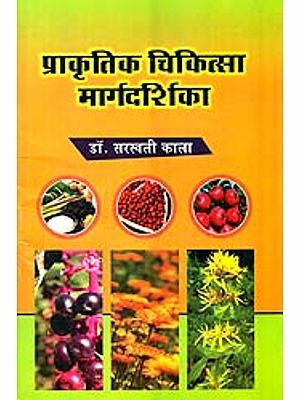 He has written many books on Ayurveda in Marathi, English and German languages. He has visited Switzerland, USA, Germany, Italy and Spain for Ayurvedic propagation. Constitution is every individuals uniqueness because according to Ayurveda every human being is separate entity. Therefore Prakriti or Bio-typology is extremely important concept in Ayurveda. Each person must know his own constitution, so that he can determine correct food, exercise, yoga, life-style, environment to remain healthy and achieve longevity. Constitution is formed at the time of union of sperm and ovum and it remains constant for the entire life of that individual. It also shows certain predisposition towards diseases. Hence this concept is also important for physicians. Many books have been written on this subject. However very few have made attempt to describe the diet for dual constitution. The readers will find appropriate advice for each constitution along with some important recipes for breakfast, lunch, dinner. Some recipes described in the book are for Western readers. For Indian readers we have included the list of recipes at the end of this book. 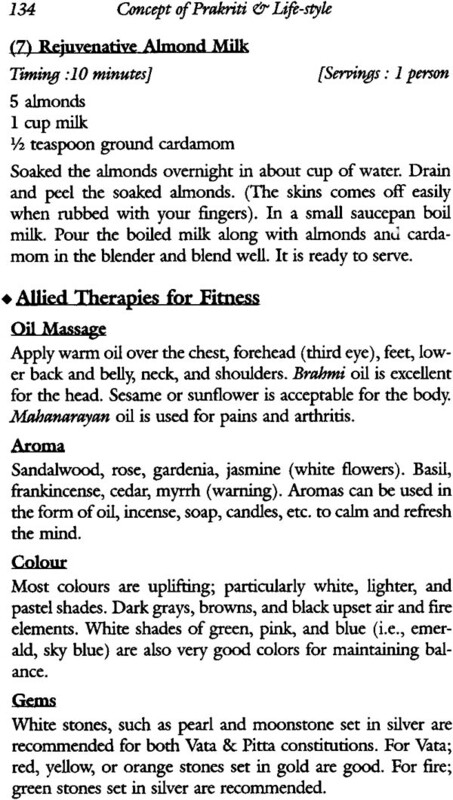 We have taken these Indian recipes from the book ‘Indian Ayurvedic Cooking’ written by Dr. Sunanda Ranade. We are grateful for her permission to include these recipes in this book. We have explained this important concept in this book and we hope readers will appreciate the same. Ayurveda has emphasized the view that Man is miniature of Nature. This means that principles that are present in Universe are also present in Man. Everything in this Universe has been created after the combination of Purusha or Pure Consciousness and Prakriti or Great Nature. Then Trigunas are formed. They are called as Sattva, Rajas and Tamas. 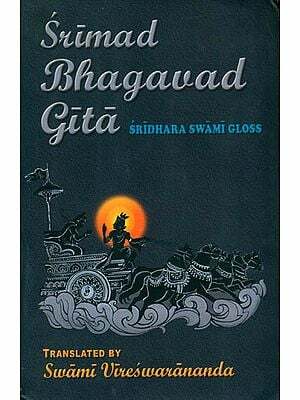 Sattva guna is light or intelligence which is the state of complete balance, Rajoguna is ignorance, turbulence, motion or action while Tamoguna is inertia, darkness. These are the three primary and omnipresent qualities at work behind all material substances in the Universe. For the creation of any substance in the Universe, the contribution of these three non-material constituents is essential. Ether is represented in Sattvaguna, Air and Fire are represented in Rajoguna, Earth and Water are represented in Tamoguna. The basic material constituents which exist in Universe and Man is called as Panchamahabhuta or ‘Five Great Elements.’ The original substance of this group pervades the entire Universe and is not observable; hence it is called as ‘great element’ (mahabhuta). These elements are nothing but etheric, gaseous, radiant, fluid and solid states of the matter. As long as these elements are in equilibrium the functions in Universe as well as man are in proper order. Ayurvedic scientists observed that there is similarity between functions in Universe and Man. There are three main causative factors in the Universe. The Sun, Moon and the Wind. Sun represents the energy of conversion, Moon represents the energy that keeps the molecules together and helps to grow and the Wind represents the energy responsible for all the movements. All these functions are also found in Man. They are called as Dosha or biological humors, which control all the functions in Man. Almost all-oriental medicines aim at achieving the balance of energies in the body. Science of acupuncture tries to balance ‘yin’ and ‘yang’ principles, that of yoga aims at balancing the ida and pingala nadis and Ayurveda tries to establish the harmony in biological humors or doshas in the body. Harmony is health and disharmony is disease. Human body is made up of biological humors, tissues and waste products. There are seven tissues in the body. They are plasma, blood, muscle, fat, bone, nerve and reproductive tissues. They grow as the age increases from childhood till adulthood and except these tissues give strength to the body. Excluding reproductive tissue no other tissue leaves the body. Plasma (rasa) provides nutrition to all the tissues in the body. Function of blood (rakta), is to supply oxygen to the entire body. All the movements are because of muscular tissues (mamsa) while adepose tissue (meda) provides lubrication. Bony tissue (asthi) gives strength and nerve tissue (majja) is responsible for co-ordination and understanding. The function of reproductive tissue (shukra) is naturally reproduction. These three are considered as the subtle forms of three biological humors. Ojes is the fluid containing Pranic energy and is linked with Kapha dosha, Tejas is the subtle essence of Fire and is connected to Pitta dosha, while Prana is the life force and is considered as the subtle essence of Vata dosha. Ojas is a special subtle substance described in Ayurveda. It is the end product of reproductive tissue. Many consider it as the subtle essence of all tissues, and is responsible for maintaining immunity and vigor in the body. It is the prime reserve energy of the body. Since it is the ultimate product of nutrition, digestion and metabolism, ojas depends on Sattvic type of food and agni- the power of digestion. Rasa provides the basic nutrition to all the cells in the body and ojas is at the apex of the body’s nutrition pyramid. If a person has good strength and immunity, naturally his digestive power is also good. Ojas is therefore, both the cause and effect of good digestion and its conservation is essential to good health. Ojas is also responsible for body’s aura, the lustrous halo that projects the essence of being out in the world to act as subtle shield against the entry of dangerous ethereal forces and bacterial invasion. Charaka has said that there is no man without luster or aura. Body luster originates from the element of Fire or Tejas while aura originates from ojas. Body luster is of 7 types - red, yellow, white, dark brown, green, pale white and black. While aura has typical shining nature. If a person has good ojas then his aura extends from his physical body and can be seen also. It is said that Gautam Buddha’s aura extended up to 50 miles, and within that all the people would be calm and quiet. Ojas is also considered as the prime reserve energy of the body. It is of two types: 1. Apara and 2. Para. Apara ojas circulates via heart to all the tissues of the body and is moist, transparent, slightly yellowish-red in color. Para ojas is not a physical substance but exists in subtle form in heart chakra. Its quantity is only 8 drops. If Para ojas is in proper quality and quantity, then the person has positive attitude, love, faith, peace, compassion and contentment. To increase ojas, one must eat fresh foods with Prana - the life force, and foods like fresh milk, ghee, honey and special herbs like Shatavari, Ashwagandha. The waste products are of two types. Gross waste products are urine, feces and sweat. If they are eliminated properly, health of the body is maintained. Subtle waste products are called as kleda. Kleda is formed during the metabolic process at the time of formation of tissues during secondary digestion.